This LC Diplexer is ideal for receiver-transmitter systems in the GSM, ISM, DCS, and PCS frequency bands. Port 1 – Port 3 operates in the 823 to 961 MHz frequency range, and Port 2 - Port 3 operates in the 1709 to 2171 MHz frequency range. 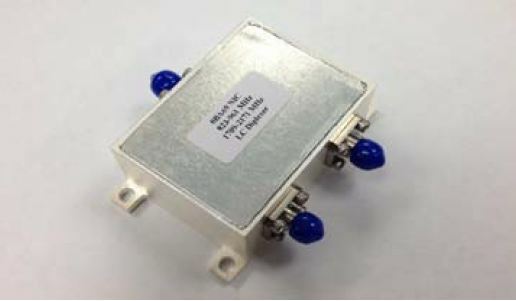 This LC Diplexer features high isolation, low insertion loss, and the ability to handle CW power up to 50W. It’s hermetically sealed and ruggedized package make it ideal for ground, airborne, and ship-mount applications. Additional information can be found on the available datasheet.